Remind me. I know BAD played this live, but was it intended to be an Upping St track or was it made for a film soundtrack? Sid and Nancy? It was intended for the movie "Candy Mountain." Not sure if it was ever in contention for Upping St.
i really enjoyed candy mountain. pretty similar in tempo and storyline to jim jarmusch's movies. strummer plays a nice short part. This is the original 1987 mix, the way Mick and Joe wanted it at the time. It's only been remastered for 001. Try listening to Marky's edit, I think Joe can be heard a bit more. Yeah, you can definitely hear Joe a bit more on the Marky edit. It's weird I thought Joe wasn't on it at first but now I can't unhear him. 101 got it right when he said you can hear Joe more at the end of each line. He hangs on a split second longer than Mick. He's singing really successfully with Mick's register, moreso than he did with the Clash. 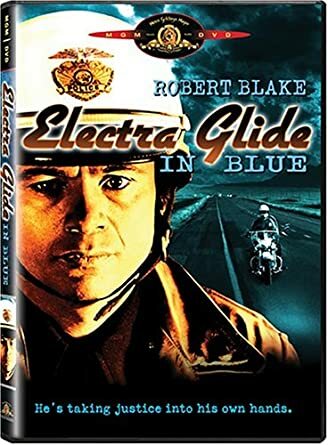 "all motocycle cop wants to die"
Wasn't that guitar that Mick favoured in BAD also called an electraglide? Yes a Bond Electraglide (The Daleks Handbag). OK, I just barely hear Joe. Finally. Thanks. Yes, as exhibited at Mick's Rock 'n' Roll Library. I think US North must have been intended for release as a Big Audio Dynamite song. The band wouldn't have 'road-tested' it otherwise, would they? Yes yes of course it is. Thanks mate. I have a thing for that old 80's kit - when Mick took the library to Norwich art school, he also had the bond guitar and the Linn drum machine. One thing I always thought about after visiting, that there were some tapes with various notes on them, just wish I had taken the old Walkman - might of been a few gems there! Fantastic to see this song finally released as a studio version :) Loving this song so much and very happy with a 10 minute version. Thank you to all that was involved in the edited versions they were great too. I definitely cant hear Joe Strummer singing on this at all, and what sound engineer would have mixed this so that he cant be heard at all ?. Personally i doubt very much Joe is recorded on this.I hear Mick's voice sounding twice on it - is it called double tracked ? Personally i think this has Joe's name attached to it just to get a release from the record company. This is probably the only way Bad fans were ever going to get to hear this song by having it presented as a joint song between the two of them.